Mladá Boleslav, 6 February 2019 – Shortly before the world premiere of the new ŠKODA KAMIQ at the Geneva Motor Show, ŠKODA is showing the interior of the new city SUV for the first time. The interior of the KAMIQ impressively combines ergonomics and emotion with ŠKODA’s usual generous amount of space. The KAMIQ is the traditional Czech brand’s second model to feature the new interior concept. The interior of the ŠKODA KAMIQ is characterised by the new interior concept presented for the first time in the VISION RS study. A character line surrounding the freestanding screen, which is positioned high in the driver’s field of vision, reflects the lines of the bonnet and also provides an ergonomic shelf for the hand operating the touchscreen. With the optional Virtual Cockpit, featuring one of the largest displays in the segment at 10.25 inches, ŠKODA offers another digital highlight in the new KAMIQ. The redesigned instrument panel seamlessly continues the emotional design language of the exterior. The side air vents extend into the doors, visually enhancing the spacious feel of the KAMIQ. The instrument panel with new elaborate ornamentation and the front door panels feature a high-quality, soft foam surface with a new, crystalline structure based on a unique grain that will continue to characterize the ŠKODA brand’s design in the future. The ambient lighting, which is available in the colours copper, red or white, also adds to the pleasant atmosphere. The colours add a visual accent to the interior tones and an interesting contrast to the stitching on the seat covers. Suedia, a fine microfiber material, is available as an upholstery option. For additional comfort, the new ŠKODA KAMIQ offers optional heating for the windscreen, rear seats and steering wheel. Built on the modular transverse matrix (MQB), the ŠKODA KAMIQ offers the generous interior space you would expect from a ŠKODA. With a wheelbase of 2,651 millimetres, the car offers generous knee clearance of 73 millimeters in the back. The boot volume is 400 litres, increasing to 1,395 litres with the rear seat backrests folded down. 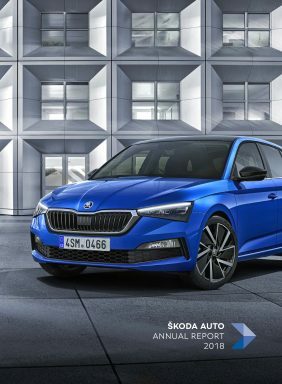 Follow us on https://twitter.com/skodaautonews, for the latest news. All content on the new ŠKODA KAMIQ can be found with the hashtag #SkodaKamiq.